Just to show you that I care. About my hair. Okay, honestly I was picking up my regular shampoos at Watsons in Suria Sabah, Kota Kinabalu but I just can't resist returning them to their respective shelves and picking up my choice of shampoos and conditioner from Dove. Yeah. I'm not gonna lie here. It's definitely because of the that cute bear!! I named him (yes, all my bears are guys! LOL) Joong Won. It's because of both So Ji Sub and L's character which is Joo Joong Won in Master's Sun - a drama that I'm currently re-watching for the 5th time so far. As for the products, I picked up Hair Fall Rescue Shampoo and Conditioner along with Dandruff Care shampoo and Straight and Silky Conditioner. The reason? Both are my current hair issues that I'm having right now which resulted of trying some crappy shampoo at the hair salon that I went the other day. I've been straightening and re-bonding my hair for about 10 years now but I have never experienced hair fall like crazy as right now. Well, the last time I was using Dove products was probably 15 years ago and I was using their facial cleansers and shower creams. I do love them but of course I was introduced to Garnier by a senior and hopped over to that brand. 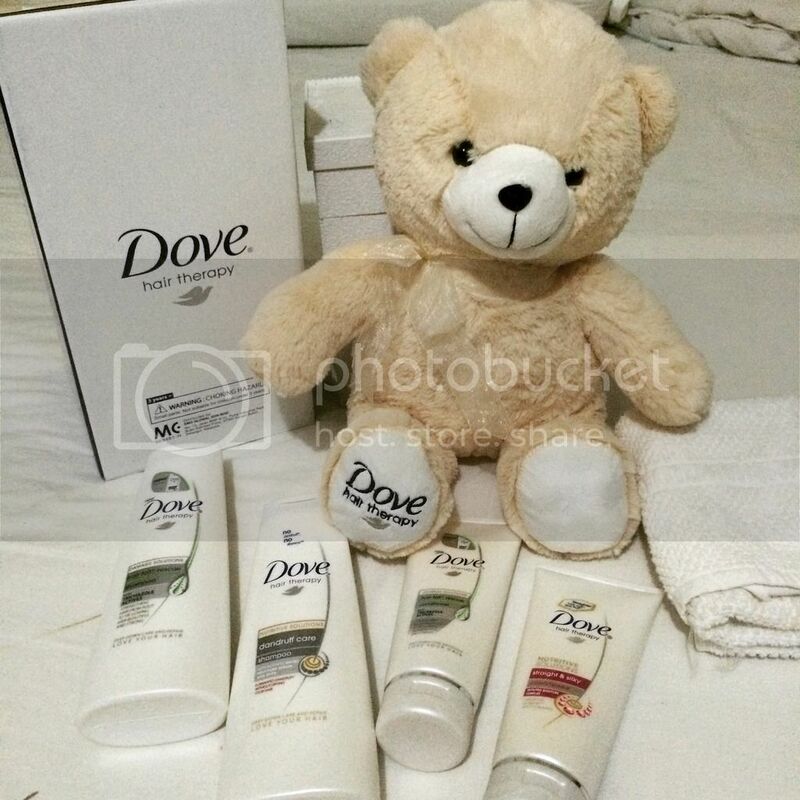 Anyway, if you were wondering, the bear can only be grabbed home of you accumulate RM40 and above of total purchase on Dove hair therapy line of products and EXCLUSIVELY at Watsons Malaysia. So if you're new to the brand, you might wanna go and grab the products - along with this cutie as it's SALE time at Watsons, till November I think. I let you guys know how the products work on my hair real soon. Stay tuned!